Island hopping is considered an essential part of the Greek experience – a perfect Mediterranean get-away – whether you are traveling solo, as a family, or with a group. From sailing into one of the many colorful harbors or wandering the picture perfect streets of the cliff-side villages, you’ll delight in the ancient beauty of the Greek islands. 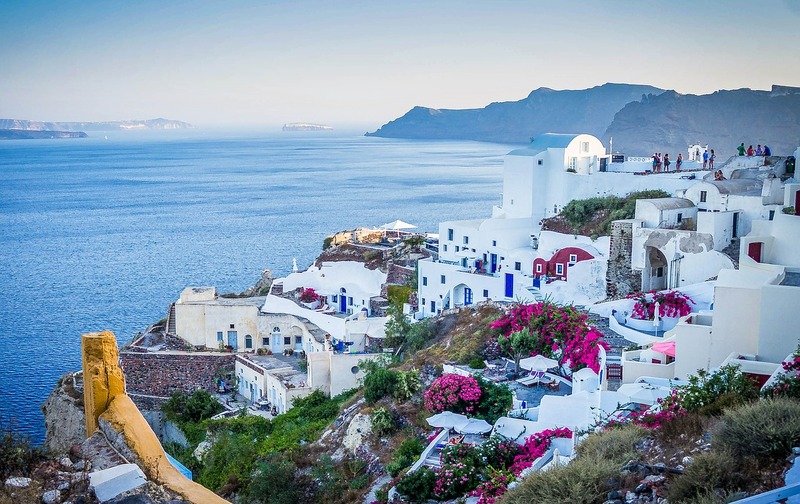 Greece counts over 6,000 islands and islets located throughout the Aegean and Ionian Seas, but only a little over 200 are inhabited! You’ll want to include both the Aegean and Ionian Sea islands on your Greek excursion. The Cyclades is considered the most famous of the island groups in the Aegean Sea and is home to two very popular islands, Mykonos and Santorini. Gorgeous sand beaches, white and blue architecture and friendly people are trademarks of these islands. A visit to Crete should be included on your itinerary. The largest island in Greece, it is a sensory experience unlike any other. From beaches to mountain ranges to fertile valleys containing olive groves and vineyards – Crete is a vacationer’s paradise. Did You Know? Wine has been produced for over 6500 years in Greece, making it one of the oldest wine–producing regions in the world. Two of the top regions include Santorini and Crete. Scattered along the western coastline of Greece are the Ionian Islands, a series of seven large islands with the most popular and well-known the island of Corfu. It hosts some of the deepest waters in the Mediterranean. 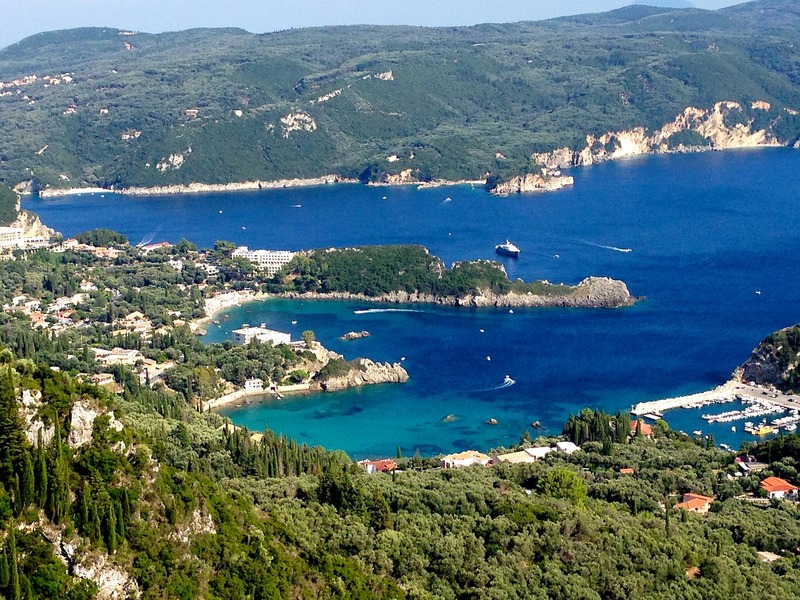 The mild climate and soft sea breezes make Corfu a perfect location for some beach time. Because of the air currents, the Corfu is internationally acclaimed for its ideal windsurfing conditions. If you like underwater exploration, island hop from Corfu to Paxi to scuba dive its underwater caves and shipwrecks. Homeric Tours has been offering Greek tours for over 45 years. Whether you want to island hop, do a planned excursion, or prefer an escorted tour, they know how to craft the perfect itinerary for your Greek experience. With a full-time staff in Athens, they have an intimate knowledge of all that Greece has to offer. Wireless Traveler is proud to be an affiliate partner of Homeric Tours. 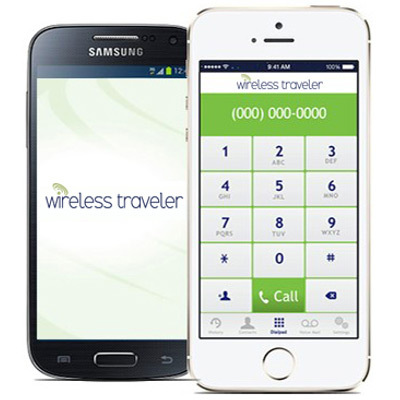 The best way to stay connected with your traveling companions while island hopping is to download the Wirelesstraveler App from iTunes or Google Play. Use it on your Android, iPhone, or iPad. WiFi calls app to app are free and calls to the U.S. are 2 cents per minute. To post all your sundowner and beach pictures, consider renting the pocket WiFi hotspot – with unlimited data everyone in your party can check their email and social media accounts (up to five devices can connect to the Internet at one time).